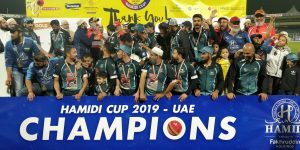 The Hamidi Cup, organised by Burhani Sports, kick started its third season in the UAE on 21st January 2019 and ended on 25th January 2019. 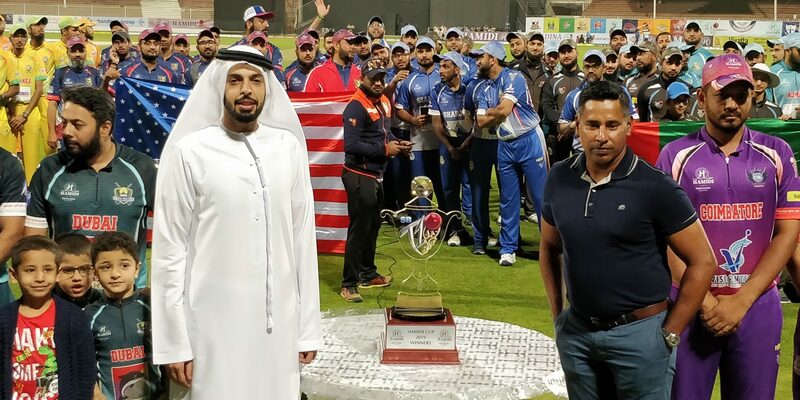 The 5 day event was held in the UAE with matches being played in 3 different grounds. The Super 6, Semi Finals and Finals were played at the iconic Sharjah Stadium. A total of 21 teams from across the globe participated in the tournament, culminating in Dubai and Coimbatore reaching the finals. All teams performed exceptionally well at the tournament with Dubai Sultans eventually taking home the SBT 10 trophy. This year, the entire event was live streamed on Instagram with continuous updates. The Super 6, Semi-finals and Finals, were also live streamed on YouTube and fans across the world tuned in to support their teams. The trophy was presented to the winning team by famous Sri Lankan cricketer Chaminda Vaas. Man of the series was presented to Huzefa Patel who scored 321 Runs and took 20 wickets.